Days ago, I missed buying this very hard to find manual on eBay. While not directly about the MightyFrame, the fact that it references the MightyFrame and CTIX is something that would have been very important to our MightyFrame and Convergent Technologies resource aggregation efforts. So, how did I miss this? It seems silly in retrospect. 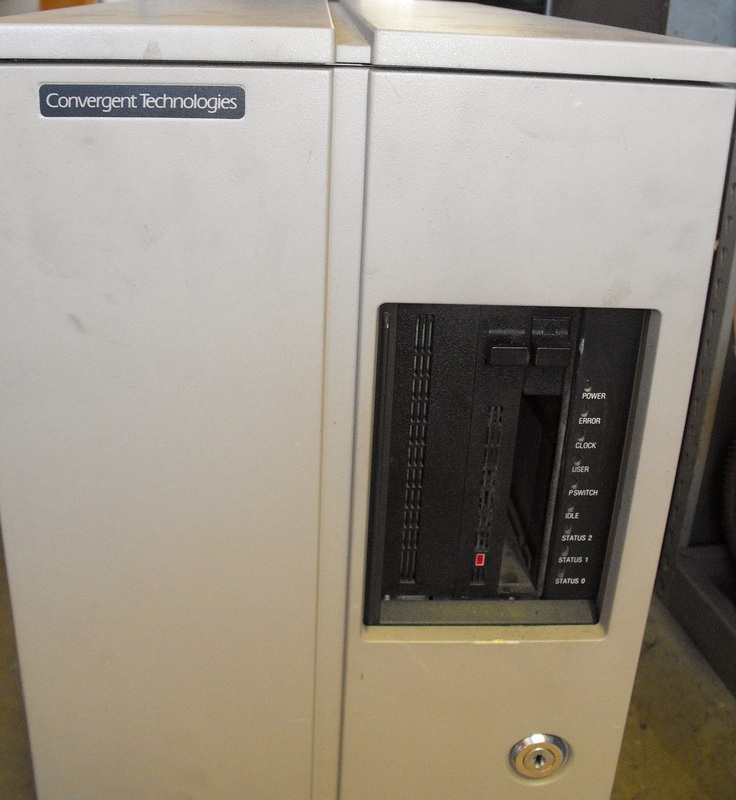 I was carefully viewing eBay saved searches for "Convergent Technology" and "Convergent Tech", but failed to create a saved search for "Convergent Technologies". Minor difference, but eBay followed my instructions, so since this auction was listed with a keyword "Technologies" instead of "Technology", I didn't see it until my friend in Austria, who also owns a MightyFrame, pointed it out to me. To whomever won this auction, congratulations! And, if you ever would be willing to donate a PDF of this manual, we would be thrilled to publish it with out MightFrame archives here. BUT, enough lamentation on missing an opportunity. Instead, in an effort to at least document the existence of such a manual, I'm going to archive all of the information from that auction here. Loose Leaf in 3 Ring Factory Binder. Incluides Crash Analysis, Error Codes (354 pages of Error codes for Work Stations using Convergent Technologies) Bootstrap ROM Errors, CTOS Initialization Errors and More! Burroughs Work stations among others used Convergent Technologies. Book has tons of great information including references to UNIX (Bell Labs) CP/M-86 (Digital) , CT-DBMS, CTIX, CTOS, DISTRIX, MegaFrame, MightyFrame, MiniFrame and more Convergent Technologies programs and trademarks. Very loaded book! Default shipping in USA is Media Mail, International would be First Class Mail. We will be listing a great deal of Vintage Manuals, Software and Computer Reference Material over the coming Months! Mark us to Favorites or Follow our Auctions! My friend Michael Herzog in Austria, who is also working on a MightyFrame, bought this manual, and will share a PDF of it with me. Thank you Michael!